The Big Wobble: A state of emergency is declared in many parts of New Zealand as Cyclone Gita makes landfall and divides into two storms! As Cyclone Gita approaches the country central New Zealand is bracing for heavy rain and high winds. Dozens of schools and some roads have already been closed on the West Coast and Nelson today. Westland District Council Emergency Operations Centre activated this morning at 11am. Grey District has followed Buller and Christchurch in declaring a state of emergency. Grey District Council says the move is a precaution at this stage as the predicted weather is showing the worst is still to come. State Highway Six is closed from Hokitika to Franz Josef, with an update due at 9 am tomorrow Morning. The storm is expected to intensity from 6pm and last for at least 12 hours with the wind intensity significant from 4pm through to 10pm. Gale force southeast winds are currently hitting South Westland especially Hari Hari and Whataroa. Rainfall totals are expected to be in the range of 90mm to 120mm. Despite Gita no longer being the monster it was when it left a trail of destruction from American Samoa to Tonga last week, damage and flooding remain concerns across New Zealand. 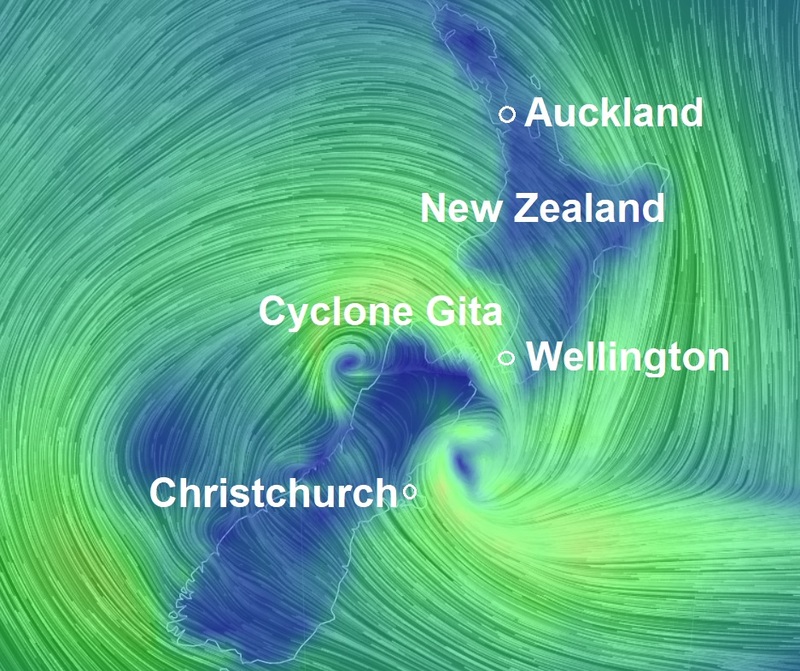 "Gita will still be a powerful storm as it blasts into New Zealand through Tuesday night, local time," AccuWeather Meteorologist Jake Sojda said. The winds may be strong enough to cause tree damage and some power outages.